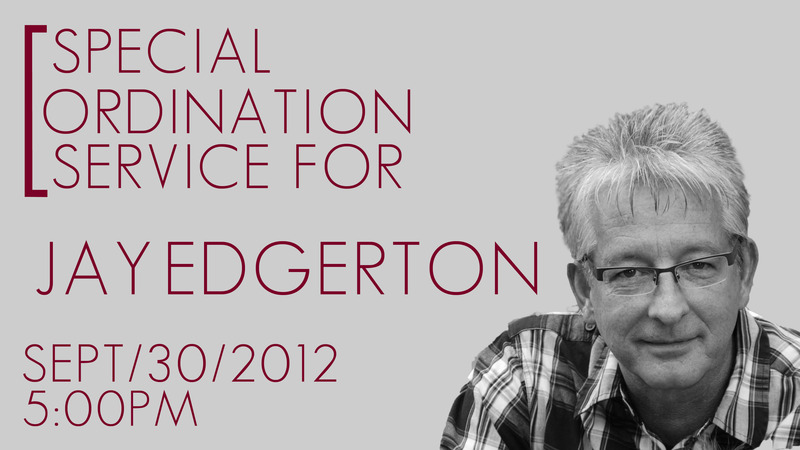 On September 30, 2012, we will have an ordination service for Jay Edgerton. Jay has faithfully served our church as an intern, and has completed the requirements set forth by our leadership. You’ve probably noticed his servant’s heart throughout the building each time we have a gathering. Jay leads several ministries at the church, and he is always available to pray with people or take care of any task the congregation needs. The church pastors will now recognize publicly the call of God on his life, and set him in place as a pastor at CIL. You are invited to join us for this service and celebration at 5:00 p.m. on September 30, with a reception following.